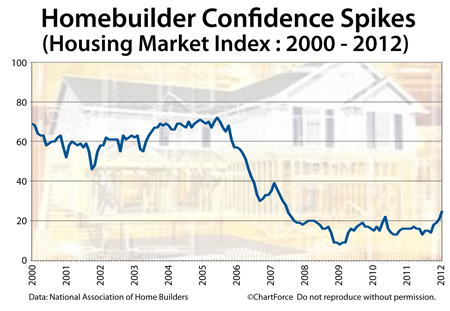 For the fourth straight month, the National Association of Homebuilders reports an increase in its Housing Market Index. The index climbed 4 points to 25 this month – its second four-point gain since October. The Housing Market Index corroborates recent U.S. government data that suggests housing is mending in GA. Both Housing Starts and New Home Sales have out-performed expectations of late, it’s been shown, and the stock of new homes for sale nationwide is dwindling. Jobs data is improving, mortgage rates remain low, and housing momentum is building. For home buyers in Canton , however, it may spell higher home prices ahead. Big demand and small supply creates scarcity and scarcity correlates to rising prices.